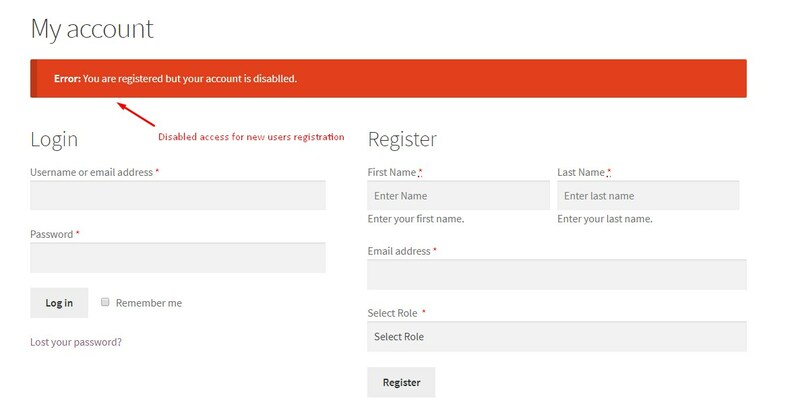 The plugin allows admin to enable/disable Woocommerce default registration fields in the registration form. Admin can create custom user roles using Wordpress native UI. Admin can allow users to request a user role while registration, users requested roles can be granted automatically or manually. Login access can be managed without deleting user accounts. Admin can activate or disable user accounts. Send custom email notifications for account enable, account disable and user requested role approval. The merchants can enable approve new user registration accounts and enable or disable user login access. The plugin allows merchants to enable user roles selection on registration. 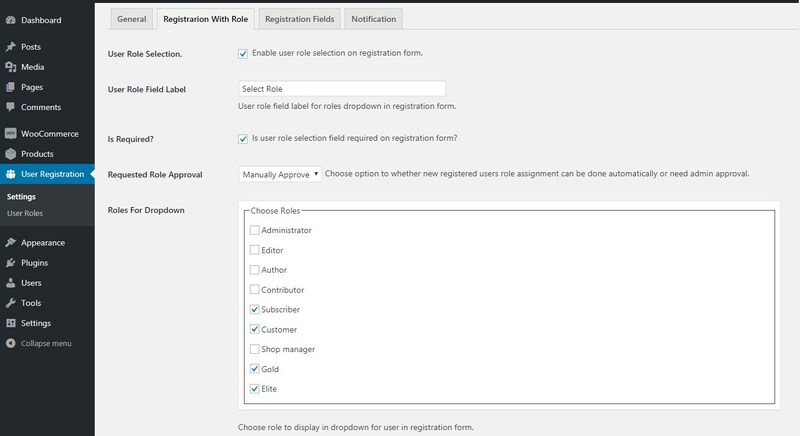 The admin can create custom user roles and set which roles will be available for customers to select while registration. Customer will be able to select user role on registration. 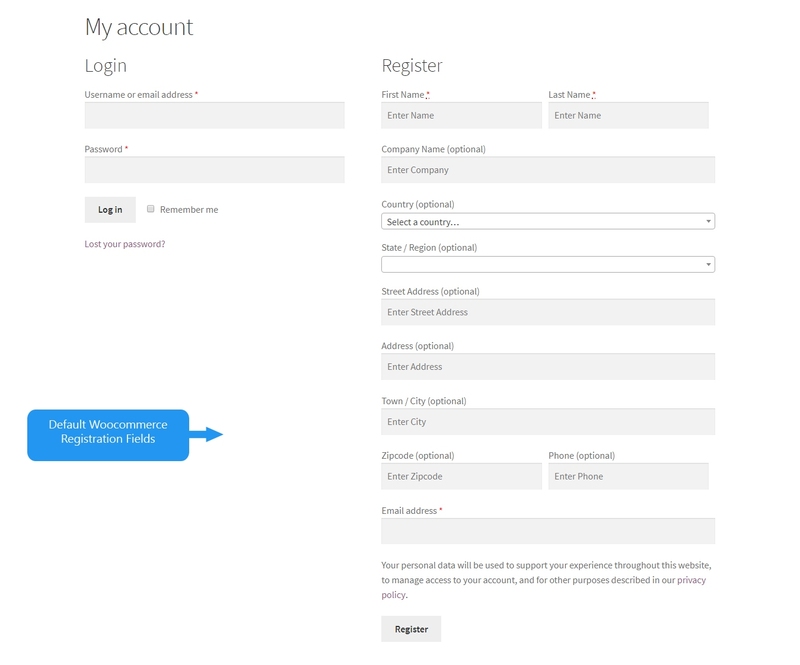 Enable Woocommerce’s default user fields on registration form like first name, last name, company, phone, address, etc. Admin can enable or disable any default field. The plugin allows admin to block or unblock user’s login access to their without deleting user accounts.